Kenny Lam, all rights reserved. 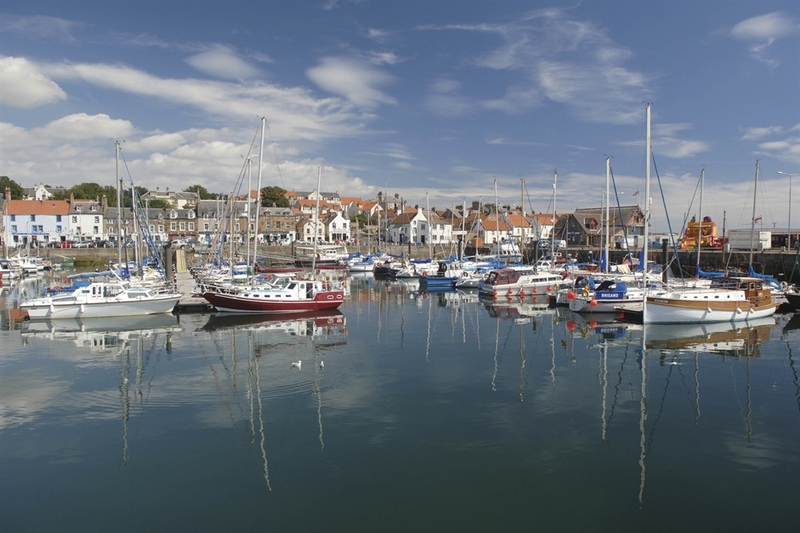 Pittenweem is a charming fishing village in the East Neuk of Fife. The harbour is the main focus of the village, particularly early each morning when the fishing boats return with their catch and the daily fish market gets underway. Many of the picturesque houses around the harbour are of traditional Fife design with red pantile or grey-slate roofs with crow-step gables and have been restored by the National Trust for Scotland. Interesting buildings in the village include Kellie Lodge, a late 16th century town house that was once the residence of the earls of Kellie, the parish church that dates from the same period and the attached ruins of the 12th century Augustinian priory. In the cliff face beneath the priory, St Fillan's Cave once housed the eponymous saint and is now regarded as a shrine to him. 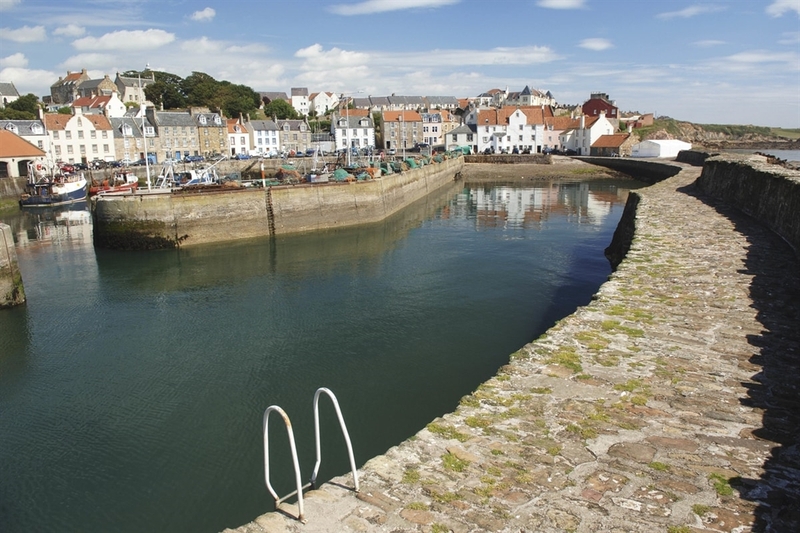 The East Neuk is particularly rich in castles and mansions and two of the more interesting north of Pittenweem, Balcaskie House and Kellie Castle. 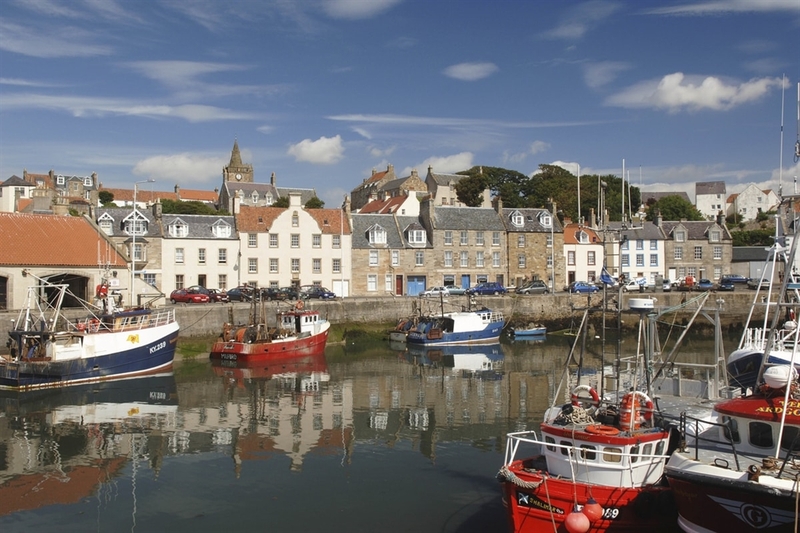 Pittenweem also hosts a thriving arts festival each August. Kenny Lam, all rights reserved. Pittenweem perches on the rocks above the sea, its pink, white and grey houses topped with terracotta roof tiles and reflected in the water below. Kenny Lam, all rights reserved. 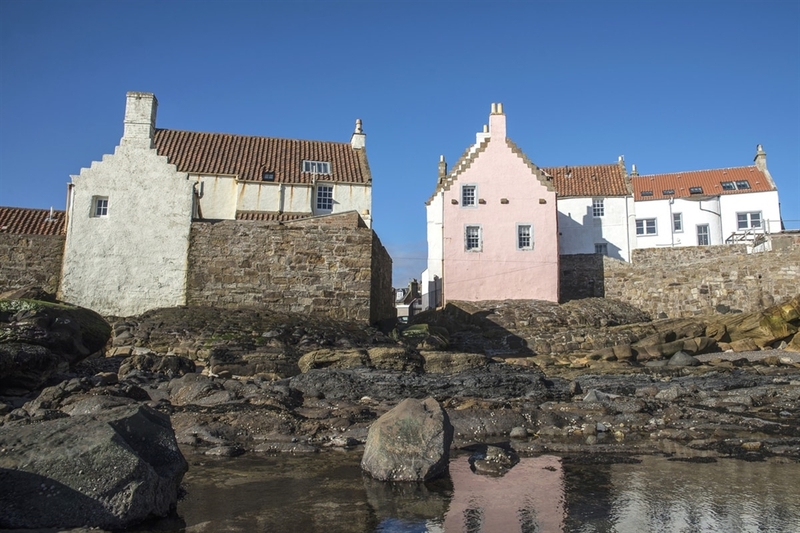 Pittenweem perches on the rocks above the sea, its pink, white and grey houses topped with terracotta roof tiles and reflected in the water below. Richard Campbell, all rights reserved. Looking along the curved walkway of the ourter harbour wall, towards the village with its charming buildings huddled around the boats in the inner har Richard Campbell, all rights reserved. Closer view of Pittenweem, taken from the inner harbour wall, past fishing boats moored at the jetty.Low hills rise behind the village and the church Richard Campbell, all rights reserved The harbour at Pittenweem is full of fishing boats and small yachts, stretching in rows towards the village.